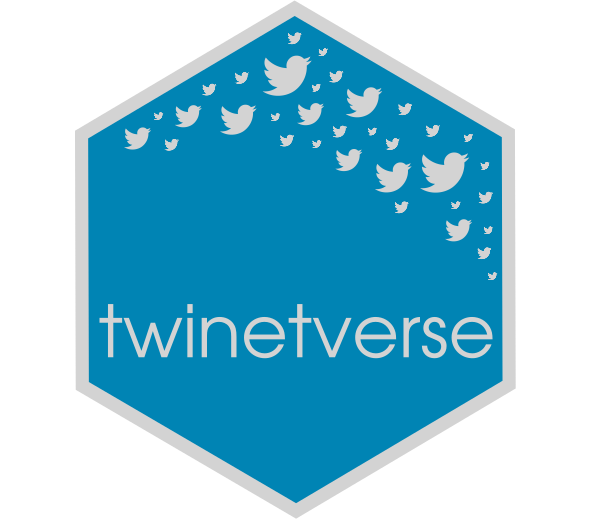 The goal of the twinetverse is to provide everything one might need to analyset and visualise Twitter interactions, from data collection to visualisation. The following pages will walk you trough the packages contained within the twinetverse, from collecting twitter data to building various types of networks to visualising them. The ’verse focuses on ease of use and interactivity. The source code for this book can be found on Github. You can suggest edits to this book by highlighting a section of text and clicking the “anotate” button.